The citizens of North Adams entered the war with great gusto. Whether diligently tending war gardens, saving scraps of valuable materials, buying war bonds, or entering the service, the people of North Adams showed that their sense of patriotism would be hard pressed to be matched elsewhere. This section is dedicated to featuring the words and feelings of these citizens in order to truly understand their dedication to their cause. This meeting is an appeal to patriotism. The interest and enthusiasm in evidence here today show that the appeal is made to responsive hearts. We meet at a most critical hour in our history. Our government has been patient beyond words: the resources of diplomacy have been exhausted in an effort to avoid the suffering and horror of war. But forbearance has ceased to be a virtue, and war now seems to be inevitable. The people of North Adams are absolutely united upon this proposition – that our rights must be upheld here and everywhere; that the glorious stars and stripes now flying over us must stand the world over for justice, for fair play, for freedom, and for the protection of American citizens. We await word from the President and the Congress. If that word means war, the men and women of our city will respond with the very utmost of their ability. An appeal to the patriotism of the citizens of North Adams has never failed. Our early settlers guarded the western frontier and made a winning fight against savages for civilization and for their families and their homes. In the thrilling days of the revolution they again fought successfully for American freedom. Years rolled by and in 1861 the very life of this republic was threatened. When the immortal Lincoln issued that historic call for volunteers our people made instant and patriotic reply. North Adams citizens did their full share in securing the overwhelming triumph which followed, and helped to add a new and glorious page to the history of our beloved country. And there are none dearer to us than the members of the Grand Army of the Republic, the veterans of that memorable conflict. In 1898 the call to arms was again sounded. This time war was for humanity, to free the people of a neighboring isle from intolerable cruelty and wrong. We all know what followed. The Massachusetts Second regiment, with our own gallant company M was among the first to land on Cuban soil. Spanish forces gave way before the indomitable courage of men from these western Massachusetts hills. The pluck of Berkshire boys again brought glory to Massachusetts and to our country. It was rushed to the Mexican border where it was recently needed, and it us with us today in uniform, ready for any emergency and for any sacrifice. May heaven bless these brave boys! They are inspired by love for country, love for home, love for humanity, love for God. We want company M recruited to full war strength. Will our people fail now? I do not believe it. More than that, if war goes on, at least one other regiment must be contributed from western Massachusetts, one company which should be made up exclusively of North Adams men. When we were in the throes of civil war, Edward Everett Hale wrote that wonderful little book entitled “A Man Without a Country.” He showed in what wretched misery lived the man who was without a country, and what a blessed thing it is to have a country to live for, aye, if necessary, to die for. And what a country is this of ours! “Conceived in liberty and dedicated to the proposition that all men are created equal,” we believe it to be the best and freest country on earth. Local Young Man in Navy”. 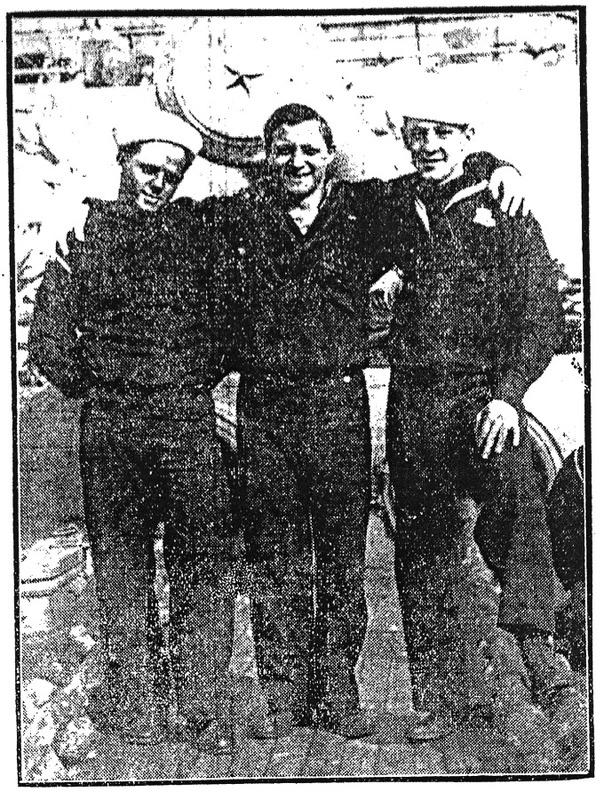 The North Adams Transcript was consistent in chronicling local members of the community who joined the war effort by enlisting. This piece on a young man by the name of John Morandi shows the pride with which the North Adams community presented their young men at arms. The family of John Morandi of 3 Granite street is not without being represented in the service of Uncle Sam, two of his sons being already in the service and another preparing to enter as soon as he can. In the above picture, John Morandi, Jr., 18 years of age, a member of the crew of the battleship Louisiana may be seen on the right. Young Morandi enlisted in February and has written several letters to his parents here in which he says that he likes life in the Navy and is sorry he did not enlist before. The young man also sent considerable money home and which was put in the bank for him. His brother Joseph Morandi, recently enlisted in the army and he too, likes Uncle Sam as an employer, frequently writing home to the effect that he is healthy and happy. Fresh off the heels of the armistice it was time for the city’s annual report. At the opening of the report for the year ending on November 30, 1918 is Mayor Whitaker’s address to the citizens of North Adams. In his speech, Mayor Whitaker praised the community for its phenomenal contributions to the war efforts and promised that since the pressures of war no longer applied, the city could flourish once more. Our city has good reason to be proud of her record in the War. 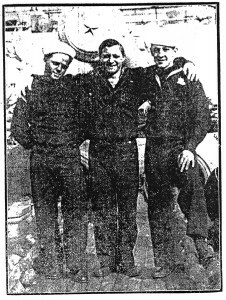 An unusually large number of our young men volunteered for the army or navy before the selective service law went into effect. We sent our quota of drafted men, willingly and gladly, and our casualties in the service have been comparatively few, notwithstanding the fact that many of our men were in the thickest of the fighting, where several of them were decorated for bravery under fire. Here at home we did not have the stimulus of the more spectacular forms of war work, such as the manufacture of actual munitions, but our people tried in every way to do their bit with a determination and get-together spirit which was truly marvelous. When the time came for our country to call upon her citizens for material contributions, our people subscribed about four million dollars for Liberty Bonds, war stamps, and other war activities; or nearly two hundred dollars apiece for every man, woman and child in the city. The sum total of the money subscribed by the people of North Adams for war purposes is probably more than twenty per cent of our assessed valuation and bank deposits added together. Few communities can equal this record. 1. 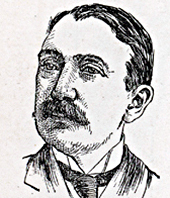 “George Pelton Lawrence,” Biographical Directory of The United States Congress. www.http://bioguide.congress.gov. 2. “Parade Attracts A Large Number: G.P. Lawrence Speaks,” North Adams Transcript, April 6, 1917. Massachusetts College of Liberal Arts Freel Library. 3. “No Slackers in Morandi Family,” North Adams Transcript, April 27, 1917. Massachusetts College of Liberal Arts Freel Library. 4. Whitaker, Ezra D. Mayor’s Address, North Adams Annual Report, 1918. Massachusetts College of Liberal Arts Special Collections. “John Morandi Jr.” Photograph, 1917, The North Adams Transcript. Massachusetts College of Liberal Arts.